Cheerful Ghost Radio Episode 50: Super Mario Bros. Swing your arms from side to side, in this episode we're doing the Mario and reviewing Super Mario Bros. on the NES! This is the first of a three-part series on the NES Mario trilogy. Next up is Super Mario Bros. 2, so come play it and talk with us about it, and we'll include your thoughts in the next NES Classic review episode! Join the event here: https://cheerfulghost.com/Travis/events/169/cheerful-ghost-games-club-super-mario-bros-2 Swing your arms from side to side, in this episode we're doing the Mario and reviewing Super Mario Bros. on the NES! Giving the NES Super Powers! If you are into hacking old tech or just want to see the NES do things you never knew it could, check this video out. It has a bit of a strange setup. To quote the video description, "The video begins in a strange way and gets stranger, but then, ideally, you understand why." Yeah the intro is a little long and strange before the payoff, but it's impressive what he gets out of an unmodified NES. I won't spoil the fun for you in case you want to follow along with the joke he presents. If you are into hacking old tech or just want to see the NES do things you never knew it could, check this video out. It has a bit of a strange setup. To quote the video description, "The video begins in a strange way and gets stranger, but then, ideally, you understand why." Yeah the intro is a little long and strange before the payoff, but it's impressive what he gets out of an unmodified NES. I won't spoil the fun for you in case you want to follow along with the joke he presents. Man, that was really, really cool. I didn't think of it much like a "joke" (he goes into *why* it's a joke at the beginning, but that still didn't make it "funny" for me. Very, very cool though), but was super interesting. I recommend watching the whole thing. Thanks for sharing this, Travis! Yeah this definitely isn't a thing you do with the intention of using it to play SNES games. Just a cool project to see what you can do. I was surprised to see that it was even possible. And I agree Adam, I didn't feel like it was a joke exactly. At least, I didn't get it if it was. I saw this video make the rounds online and I almost turned it off after starting to watch it until I realized what it was. The guy is pretty smart and it's a really cool project. Nintendo enhanced the SNES power by adding the Super FX chip and this is essentially the same kind of idea just MUCH more advanced. Strap In For The Most Technical Explanation of The Game Genie Ever! Retro Game Mechanics Explained is a YouTube channel that goes over some of the most highly technical explanations of retro games and systems i've ever seen. In the video i've linked above he talks about the Game Genie which I never really thought about but the explanation of how it works makes sense and it's such an elegant solution to the problem I tip my hat to the developers of it. Bit of a warning though, it's highly technical and discusses some pretty low level computer concepts such as registers and op codes. Enjoy! Retro Game Mechanics Explained is a YouTube channel that goes over some of the most highly technical explanations of retro games and systems i've ever seen. In the video i've linked above he talks about the Game Genie which I never really thought about but the explanation of how it works makes sense and it's such an elegant solution to the problem I tip my hat to the developers of it. Bit of a warning though, it's highly technical and discusses some pretty low level computer concepts such as registers and op codes. I normally keep up with these but I missed this one. Jon's post about the new Ocarina world record made me jump down this rabbit hole, and I discovered that, about a month ago, darbian broke the world record for the fastest Super Mario Bros. run at just under 4:56:878. He's the first human to get into the 4:56 range. The fastest human-capable time is thought to be 4:55.96, if you're able to pull off every trick at the right spot. The fastest tool-assisted speedrun is currently 4:54.03, if you use the same timing methods as the human runs (TAS runs start the clock when the game powers on). Tool-assisted speedruns can make use of glitches that require pixel-perfect... Read All I normally keep up with these but I missed this one. Jon's post about the new Ocarina world record made me jump down this rabbit hole, and I discovered that, about a month ago, darbian broke the world record for the fastest Super Mario Bros. run at just under 4:56:878. He's the first human to get into the 4:56 range. The fastest human-capable time is thought to be 4:55.96, if you're able to pull off every trick at the right spot. The fastest tool-assisted speedrun is currently 4:54.03, if you use the same timing methods as the human runs (TAS runs start the clock when the game powers on). Tool-assisted speedruns can make use of glitches that require pixel-perfect accuracy. Either way, it looks like we're getting very close to the fastest possible run. A note about the timer in the video-- that's controlled by the streamer, so some human error is involved. After finishing it up, software checks the video frame-by-frame to get the official time. The clock in the video says 4:57.02, even though the official time is 4:56.878. I love this show, and the new episode is one of my favorites. Using basic sentence structure, this video describes how complex a game about jumping can be, and how more emergent gameplay can happen when multiple things can happen with a single verb. Taking the powerups out of the equation, everything Mario does is running and jumping, and the sheer amount of effects that come from jumping is amazing, even in the original Super Mario Bros. I love this show, and the new episode is one of my favorites. Using basic sentence structure, this video describes how complex a game about jumping can be, and how more emergent gameplay can happen when multiple things can happen with a single verb. Taking the powerups out of the equation, everything Mario does is running and jumping, and the sheer amount of effects that come from jumping is amazing, even in the original Super Mario Bros. It's interesting to see how JUMP was so central to SMB, and then how different SMB2 was when GRAB was introduced. SMB3, SMW, etc went back to the original JUMP (with some GRAB, but not as central) and they felt like closer games to the original. This is a very interesting read! Bring on Skynet! (To make video games for us) ENVISIONED BY A COMPUTER: More than 300 new playable game areas were created with the Georgia Tech automatic-level generator. An artificially intelligent system watched gameplay video of Super Mario Brothers from streaming video (e.g. YouTube, Twitch) to learn how to design game levels, a first-of-its-kind approach. Game Theory is one of my favorite YouTube channels. I recommend just about... Read All Nintendo's star character Mario has been in over 70 games. 70 GAMES!!! Which leads to the question, does the Super Mario series have a discernible timeline? Or are Mario games, like many have been led to believe, a random assortment of games with no attention paid to continuity. While this may ultimately be true, there ARE details in the Super Mario games that allow them to be pieced into a timeline order...and the implications of that are SHOCKING! 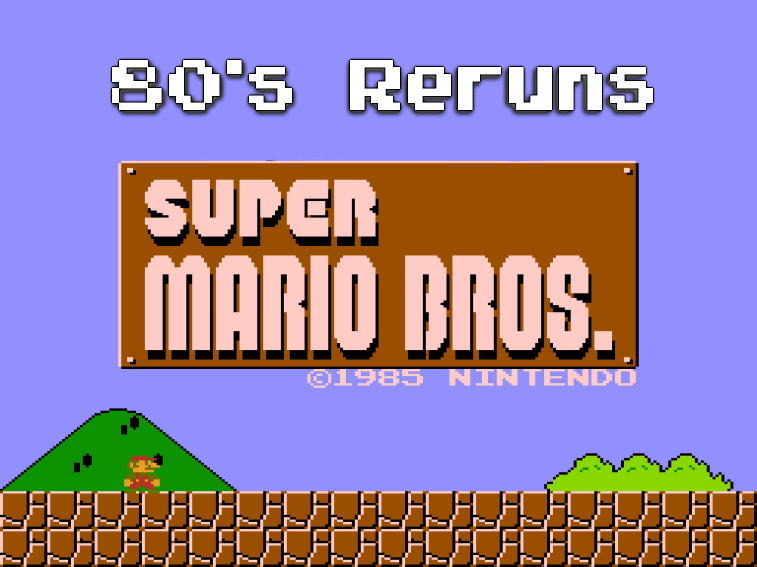 80s Reruns: Super Mario Bros. I have three functional NES consoles, and two of them are currently hooked up and ready to play. You could say I'm a fan. But nobody talks about these old games much anymore, even though the gameplay in many games holds up even in the present day. Let's do something about that. There's no better place to start than the game everyone played, Super Mario Bros.
Super Mario Bros. isn't the first appearance of Mario, or even the first Mario Bros. game, but it's the first introduction most of us had to the characters, and it's what most consider the first game in the core Mario series. It set the rules that platformers would follow even to the present day. There's no... Read All I have three functional NES consoles, and two of them are currently hooked up and ready to play. You could say I'm a fan. But nobody talks about these old games much anymore, even though the gameplay in many games holds up even in the present day. Let's do something about that. There's no better place to start than the game everyone played, Super Mario Bros.
Super Mario Bros. isn't the first appearance of Mario, or even the first Mario Bros. game, but it's the first introduction most of us had to the characters, and it's what most consider the first game in the core Mario series. It set the rules that platformers would follow even to the present day. There's no question about the influence this one game has had on the whole industry. I used to love poring over instruction manuals for NES games, but one thing that sticks out for me with SMB is that it doesn't need one. In the first few seconds of the game, you learn the basics, and by the end of 1-1 you know pretty much all you need to know to get you through. If you run straight forward, you get killed by the goomba. Oh, you must need to hit one of these buttons. Whoa, A jumps, and jumping kills enemies, and makes things come out of these question mark blocks. And suddenly, you realize you've got the hang of it. But then the fun starts. It isn't an incredibly easy game, but the difficulty curve ramps up nicely, and beyond being accessible, the mechanics are good. Even today, the physics in the game feel natural, and the challenges are well thought-out. For the time, the graphics were decent, but they were impressive in how they convincingly made this world with such simple pixel art. And the music, especially that iconic theme, lives on in the Mario games even today. Out of every game I've obsessed over since I first got my NES back in the 80s, this one still probably takes the record for most hours of my life taken up. Even the 550 hours I've put into Terraria or the few 200+ hour games I've put into Skyrim don't hold a candle to the hours I put into beating Super Mario Bros. over and over again. I was obsessed, and I still play it a few times a year. I realized at some point in college that I almost always played it the same way, warp from 1-2 to world 4, and then warp from 4-2 to world 8, and decided to check out some speed runs. "I can do that," I thought. So for months, I rediscovered the game in a new way, trying to power through as fast as possible to get as close to the record as I could. I think the record at the time was around 5:30 (currently on SDA the world record is 4:58), and I was able to get down to around 6:30 before burning out. I never got good enough to be competitive with it, but it was a blast. For this blast from the past, I decided to play through the game without warping, and I was surprised at just how much I had forgotten. 1-1, 1-2, 4-1, 4-2, and all of world 8 were still quite fresh in my mind, but especially world 6 and 7 were almost foreign to me. I could almost get through the 8-4 maze blindfolded, because I've done it so many times, but some of the later castle mazes are tricky until you learn the pattern. Overall, it struck me how great the level design was coming into it with fresh eyes. Like I said, I had forgotten so much so it all felt new again, and it was all well done. This game is a classic for obvious reason. Even if it wasn't the bundled game for most of the NES's lifespan, it would have been huge. The technology available back in the mid-80s was limited, but Nintendo pulled off something truly special with what they had, and its impact can still be felt today. Yeah, Super Mario Bros. was great and it's pretty cool how the series has progressed since it's release. I remember being a kid in the 80's and being introduced to the NES, SMB, and Duck Hunt. I didn't own a NES when I was a kid, but I did get the Gameboy. My cousin had a NES and I loved it when I visited and we'd play it. Those are some of my fondest memories as a kid. He still has it and his games and I often wish I had his game library. I do now own a NES, but I haven't hooked it up in many years. I only own a few games for it, The Legend of Zelda, Final Fantasy, and Monster Party. Still, it's cool that Nintendo has released some of the games on their Virtual Console. That one is on my list, but I doubt it'll be next. I'm not sure I ever beat the original SMB. I'm not sure how far I made it through the game, but if I have beaten it, it was probably once and I doubt even that. 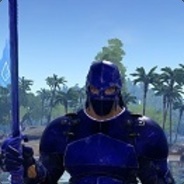 I'm absolutely sure the amount of hours I've spent on the game barely even scratches how many you've put into it. I really wanted to hate this. But I didn't, so they win I suppose. But I didn't watch all of it, because that would have been too painful.